1. 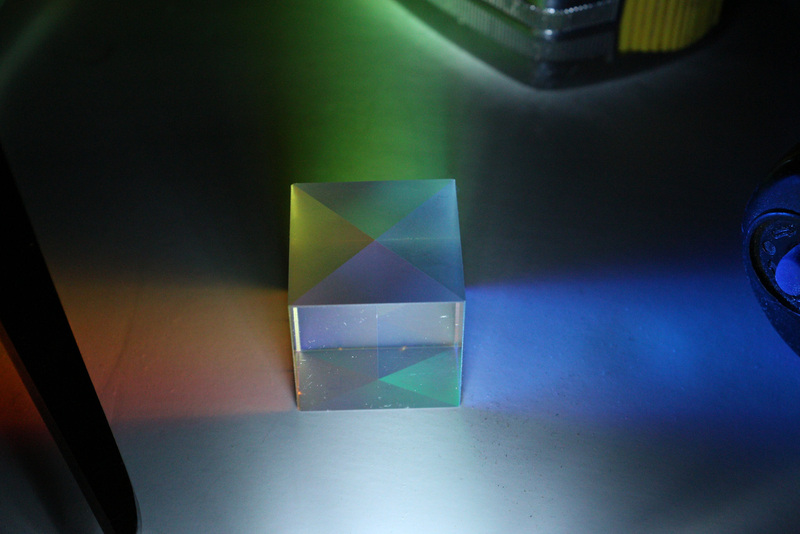 Order a dichroic prism online from China, 3 for a fiver. They reflect light inside – red reflected to the left and blue to the right, the remaining green is left in the middle. 2. Find a colourful picture such as a poison arrow frog and separate the red, green and blue channels. The red channel goes on the left, the green in the middle and the blue on the right. The green needs to be flipped horizontally relative to the red and blue. 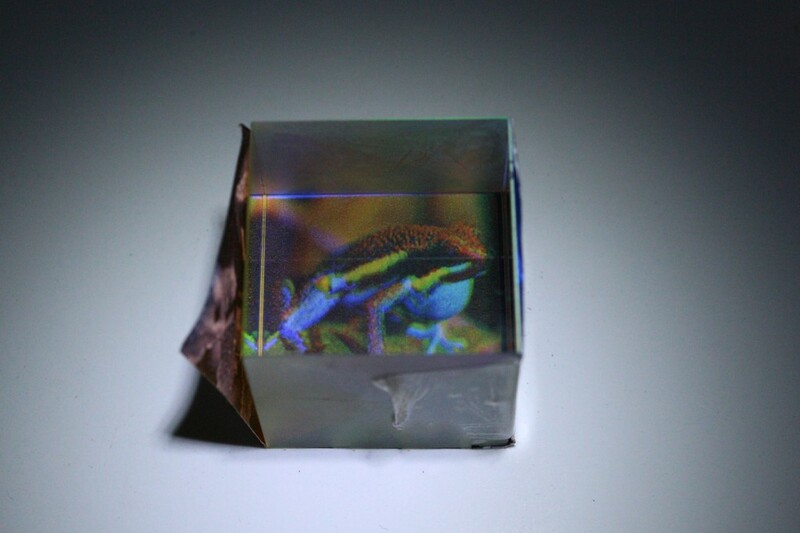 Print them out on a black and white printer at exactly the same size as the prism and cut them out. 4. 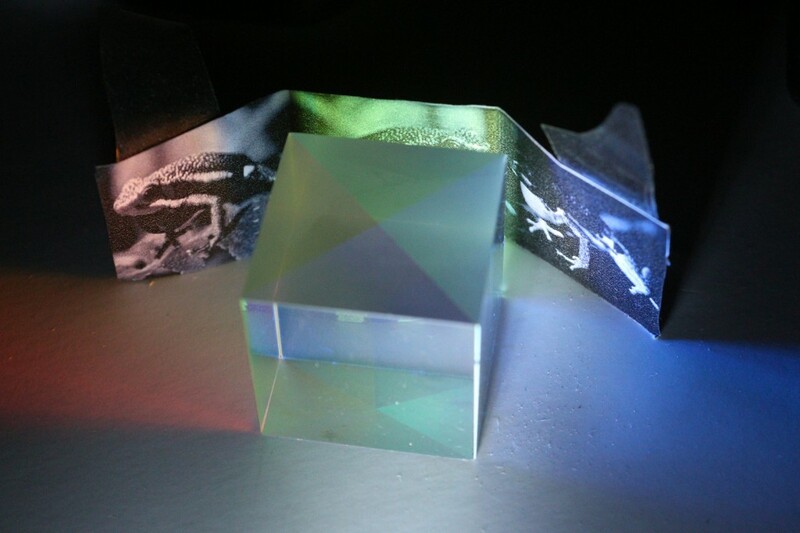 Wrap the paper around the prism and stick it on with some tape. Hey Presto! The colour has been reconstituted from the black and white print. This works best if it is illuminated through the front face.